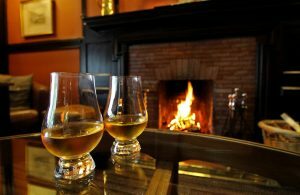 With summer very much underway, the exceptional array of hotels, experiences and of course whisky distilleries Scotland has to offer is truly remarkable. As tourism and of course whisky play such a pivotal role in Scotland’s economy, it is easy to see why expectations and standards are naturally high and quality remains at the heart of what those in these industries strive to deliver. Bearing this in mind, there’s one hotel which most certainly delivers on both fronts. The Sligachan Hotel on the Isle of Skye is a truly exceptional example of Scotland’s hospitality at its very best. 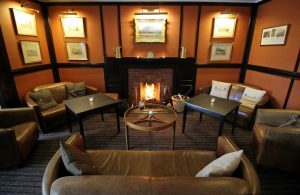 Relax in front of the open fire and enjoy a rare malt in Mackenzies Bar, or sit back in Collie’s Lounge and admire the unparalleled views of the surrounding scenery from the curved picture window. Meals prepared using the finest locally sourced produce can be enjoyed in the Harta Restaurant or an informal meal can be had in the adjoining Seumas’ Bar. Should the hotel’s history be of interest, there is a small climbing museum with guest information dating back to the 1800’s. The Hotel was constructed in it’s current location in 1830. It quickly became a mecca for gentleman climbers who recognised the unique and challenging qualities of the Cuillin. Purchased by the Campbell family in 1913, the hotel has been passed down through the decades and is now being run by the 4th generation. 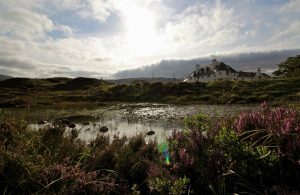 To maintain the historic charm of the building whilst providing real Highland hospitality is a strong objective for the Sligachan Hotel team who hope to provide you with a memorable stay in a truly memorable location.